FOMS is the Foundations of Open Media Standards and Software developer workshop. It is an annual meetup of software developers and tinkerers of all stripes who gather to collaborate, code, and lay plans for future open video technologies. 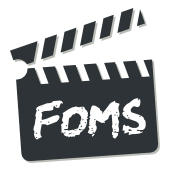 FOMS provides a unique environment where both Web developers and browser vendors meet and discuss the Web platform as it relates to multimedia applications. This year, the workshop deliberately took place just after the VideoLAN Developer Days to open access to an even broader range of open source media developers. FOMS 2012 took place at the Institut Telecome in 49 rue Vergniaud.